Light and medium pink shades of lipstick are understated but classically feminine. Favoring this color can indicate that you are gentle, warm, kind and intuitive. Cooler pink shades might mean you’re more reserved. These shades work well with both casual and elegant looks and wardrobe choices. There is nothing understated about bright red lipstick; this color exudes confidence, spirit and passion. It says you’re fiery, you want to be noticed, and you’re the life of the party. Bright red lipstick pairs very well with bold outfit colors and can be the perfect accent for black, violet and blue. It also provides a stunning contrast to green or yellow. These subdued but unexpected lipstick tones pair well with dark or olive skin. Plum and raisin lipsticks are smoky, sensual and intriguing, which can either describe you right now or open the door to these aspects of your personality. Be chic, classy and just a little mysterious in plum or raisin colored lipstick. Not quite red, not quite purple, with just a hint of earthiness, burgundy can indicate that you are compassionate, but with a stubborn streak. Burgundy lipstick instantly makes your look a little exotic. This alluring color works well with evening wear and can be used selectively with daytime looks as well. More understated than the classic glossy red, a frosted red tone can indicate that you are outgoing, inquisitive, resourceful and a little opinionated. You know who you are and enjoy taking the lead. You like to stand out, and you have the substance to back it up. A moodier tone of lipstick can indicate rare and special qualities in the wearer. These colors are versatile and can work with just about any hair color or skin tone. They also accent both casual and formal looks beautifully. Consider a frosted variation of this color family to add a touch of elegance. Orange shades of lipstick are tempered by pink or red, but they always make a bold impression. If you gravitate toward these colors, you are likely unique and even quirky, but also kind, graceful and romantic. Bright pink indicates someone who is free-spirited, bright, brave, friendly and adventurous. Decidedly feminine yet bold and sure, you’ll exude both confidence and playfulness with this lipstick look. The absence of color can send a message, too. Using a clear, shiny lip gloss with no additional lip color sends a message that you’re polished and self-aware. Clear lip gloss can also be added on top of any other lip color to change up the look and create a sleek, appealing sheen. These days, lipstick is available in just about every color under the sun. Black, gray or charcoal can bring an edgy mystery and impact to evening looks. Tones like purple, blue and green can allow you to express your unique and creative sides (or allegiance to a sports team). Use a subtle black lip liner to create even more impact with these colors. Silver or white lipstick can bring a modern, contemporary flair to your look that mirrors the evolving technology all around us. Whether you favor a casual or elegant makeup style, lipstick is like the icing on the cake. The color you choose for this finishing touch can say a lot about you. Whether you want to learn about your past or recent lipstick choices or create a whole different look going forward, this list can offer some insights. 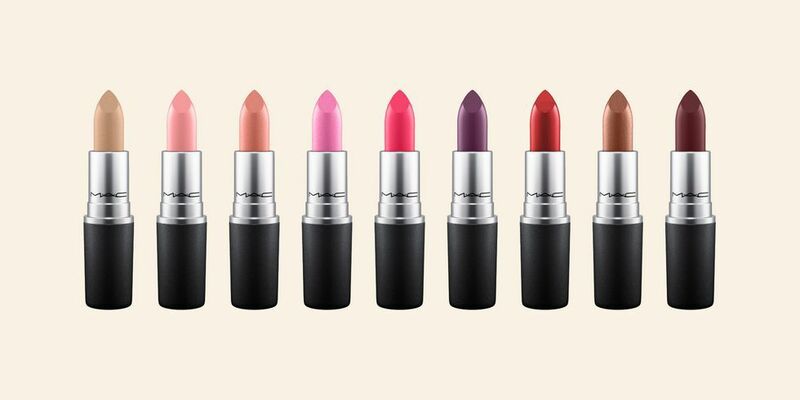 Consider the full range of lipstick color meanings and possibilities to enhance your self-expression.